Engaging leads takes time. To get your lead truly engaged and ready to take action, it usually takes a few touches through a few different channels before you gain their trust. Engaging your leads and keeping up with their preferences doesn’t have to be a confusing, timely chore. 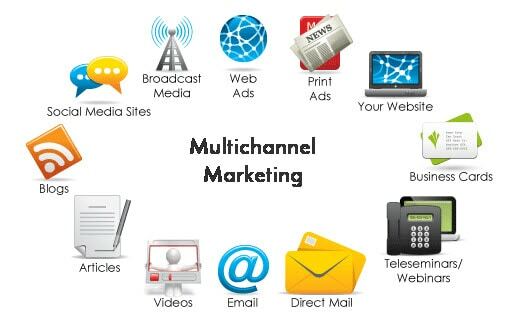 Having a marketing automation plan in terms of implementing multi-channel marketing campaigns simplifies the process of contacting leads and increasing lead engagement. It also ensures your leads are receiving your messages in the most convenient way possible. In the long run, this means the chances of gaining your leads’ trust increases, which places you closer to closing the sale. Using marketing automation to track, score and nurture prospects makes it a walk in the park to understand your leads’ needs. No more manually entering information into your CRM, no more room for human error when in comes to following-up and researching. The brilliant thing about automating your marketing practices is that you can add additional channels and manage all of them in the same place. Text messaging allows for direct and convenient communication and, according to recent polls, most texts are opened by the recipient within minutes. Lead Liaison has just announced the Multi-Channel Marketing capabilities that allow you to engage leads in brand new ways and cover all the bases. The engagement rates of SMS marketing blow the others out of the water when compared with email marketing and social media posts. The reasons for this jump in recipient activity may be for several different reasons, the first being convenience of reception. Your smartphone is either in your hands, on your desk, in your pocket, or in your purse—never too far from reach. You’ll probably even get an instant notification of the new message with a preview of the text, which is a foot in the door, especially if the message is a discounted offer or deal that you’re offering in exchange for immediate action. Despite recent research and polls, SMS isn’t for everybody. That’s why it’s important to utilize multi-channel campaigns and engage your leads when and where they’re ready to receive your messages. On the other end of the spectrum, Lead Liaison has also introduced the direct mail channel. While SMS channels lead in engagement rates, direct mail campaigns are champion when it comes to new customer acquisition (read: multi-channel marketing = success). At less than $1 per card, you have complete control over what’s sent to your leads. To emphasize all the channels of communication and marketing available, you even have the ability to add a QR code to the card that sends your lead straight to a landing page and right to your next call-to-action. Direct mail plus website visits brings you closer to the goal. Every lead behaves differently, and that’s where your lead nurturing and tracking practices come in handy. Increasing lead engagement starts with understanding your leads’ needs and how they like to receive their information. The next step—personalizing not only the method of communication, but the message you’re sending as well.